"Gone Girl" may be one of the most eagerly awaited films of 2014 and fans are getting a first look. 20th Century Fox tweeted a picture of star Ben Affleck in character for the big screen adaptation of the best-selling novel by Gillian Flynn. 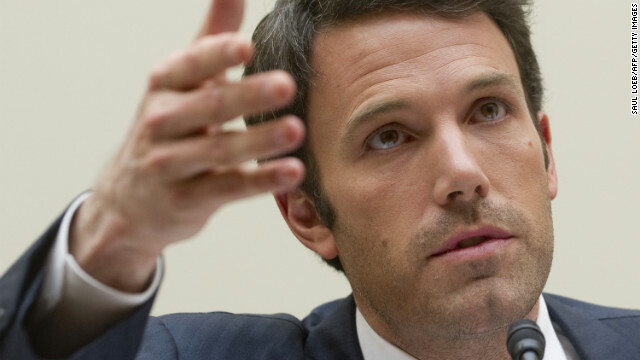 Affleck plays Nick Dunne, a man who becomes a suspect when his wife disappears on their fifth wedding anniversary. Rosamund Pike plays Dunne's missing wife, Amy, and Affleck has said that the David Fincher’s adaptation stays true to the very popular book. "Gone Girl" is currently filming and scheduled to be released in October 2014. I can't get a date. Help me. He's a nerd. Jennifer Lopez divorced him.duh. The book was great. Hope Hollywood doesn't screw it up. Can I drink your enema liquid after it's given to you? I like a hot beverage. I'd like to feed him a poop smoothie. Is gone girl anything like gone with the wind with clark gable. Just asking. I saw ben affleck in superman when he was chosen to save earth. In the end the monster got pulled in by the gravity of the sun and died.